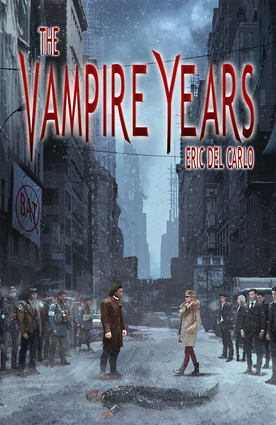 Fifty years ago, vampires went to war with humanity. Humanity was crushed beneath their boot. What's left of the human race has been relegated to the Res: gated remnants of the old cities out of sight of the opulent, technological marvels the "bats" flourish in. Humans are gifted just enough food and supplies to keep from dying, and, since the development of synthetic blood, there hasn't been a case of a vampire killing a human to feed in Shea's lifetime. That changes when the vampire liaison to the Res comes to visit along with his daughter, Vikka, on a cold, winter's night. Shea finds a dead human lying in the snow, drained of blood from two punctures in his neck. Eric Del Carlo brings to life a taut mystery when Shea and Vikka must defeat an unknown killer, as well as their own misunderstandings, before the truce between their races is destroyed. Eric Del Carlo's short fiction has appeared in Asimov's and Strange Horizons, as well as many other venues. His novels include the Wartorn fantasy novels written with Robert Asprin and The Golden Gate Is Empty, which he co-wrote with his father Vic Del Carlo.